Literally translated as beehive, thanks its name to the bee. But not only that, also some of their finest clothes and delicious food is partly made possible by the bee. Unfortunately, the bee is now in great danger. To give attention to this problem we not only made a campaign but we made a special collection too. 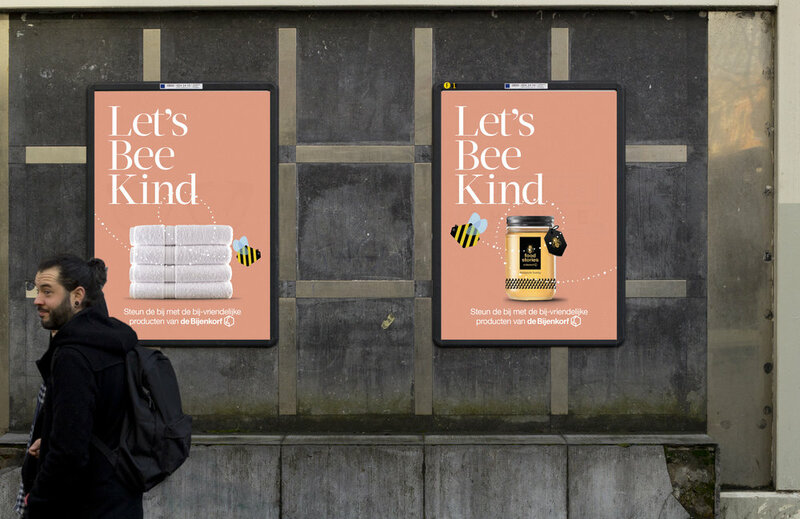 The Let’s Bee Kind collection. A series of products you can surprise a friend or yourself with and support bees at the same time. Being kind to each other by being kind towards bees. Together with Zorg en Zekerheid (an independent health insurance company) we avoided hollow advertising promises and dug deeper for real stories. The result is a growing series in which engaging, real people tell of their experiences. And we’ve made art out of it. KLM (The Royal Dutch Airlines) wants to be Europe’s most customer friendly and innovative network carrier. They’ve brought millions of people together since they started in 1919 and partly due to that they’re the most loved airline in the Netherlands. KLM wants to keep this position and that’s why we created a campaign that even increases this brand love. Frequent Flyer Miles are only used by frequent flyers. The occasional customer flies maybe only once or twice a year. Because of this a lot of miles are wasted. That’s why KLM starts an initiative called ‘Lovemiles’: a system in which you can donate your miles to a couple in a long distant relationship. 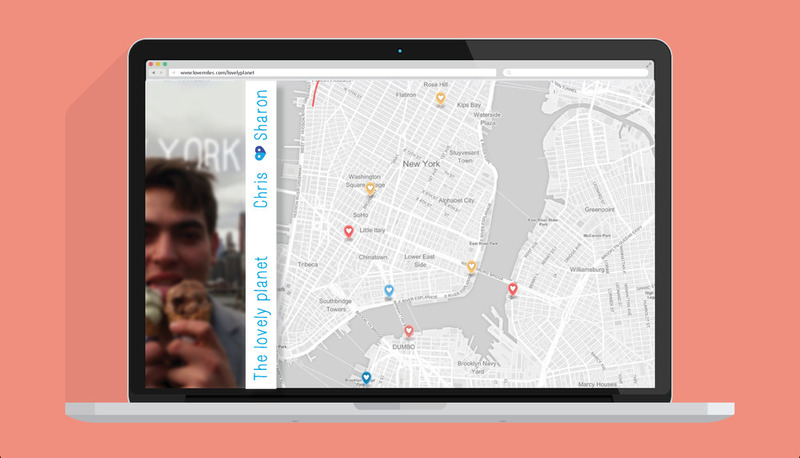 In return you get first hand tips about your destination from the couple you donated to.